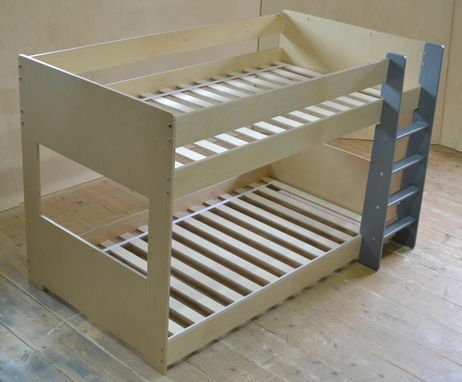 Our mid bunk beds are perfect for the transition out of crib to bed! 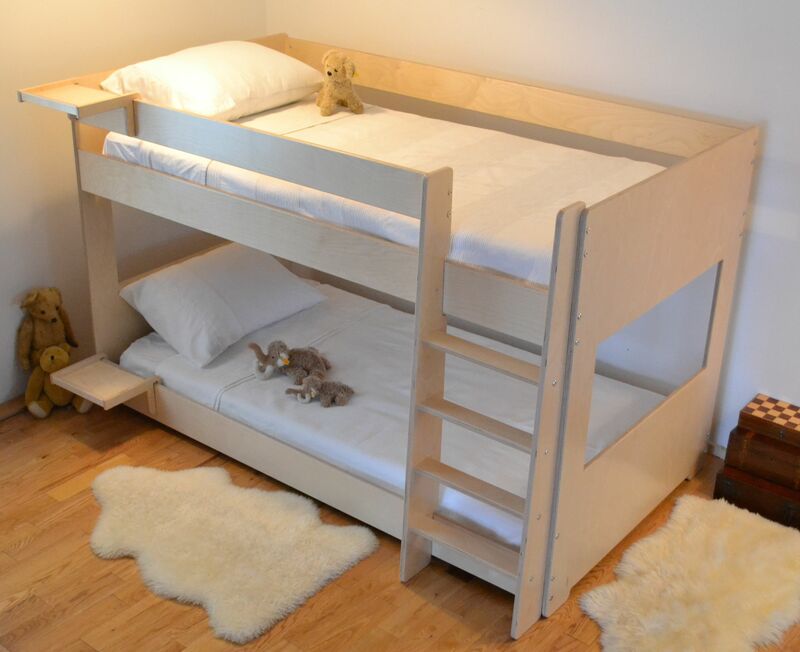 The bottom bunk is low enough to the ground, so that rolling out of bed causes no harm, and for the older sibling that sleeps on the top bunk, the bed is of mid height, 4 feet high (48") to enable parents to comfortably read all those favourite good night stories! 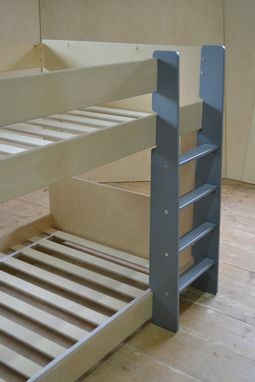 and of course, the lower height enables easy making of the bed on the top bunk! The distance between the beds using 6" mattresses for headroom is 26 inches. You can choose any colour and we will mix a custom stain for your beds to match your home. Made completely out of birch multiply, sanded to a smooth finish, parts can be custom stained to allow the wood grain to show through and finished off in satin clear lacquer. Solid lacquer spray painted colours are also available. 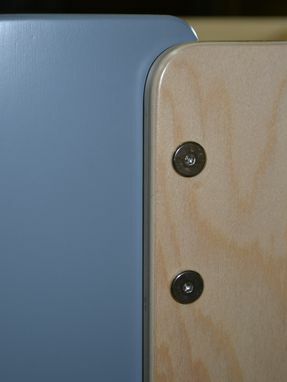 All our finishes are hand crafted so variations will occur. 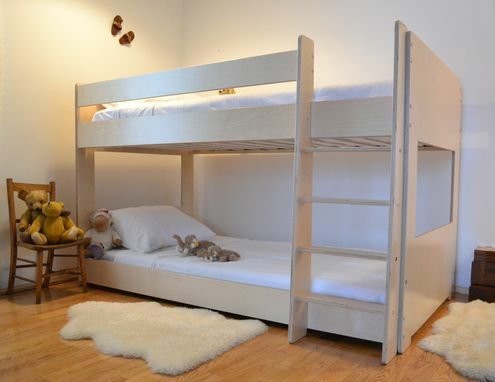 Made to fit twin mattresses 74 3/8" x 38 1/4"
We make the bed slats to support the mattresses ourselves, and they are made out of birch and sanded to a smooth finish. We put together a PDF file for you to print off with easy step by step instructions for assembly. Bed dimensions: 77" x 41 3/8". Height 48"
We use only FSC Certified Birch which means that the trees are harvested from forests that meet stringent environmental, social & economic standards. We finish our furniture using environmentally green products that are certified with GreenGuard. 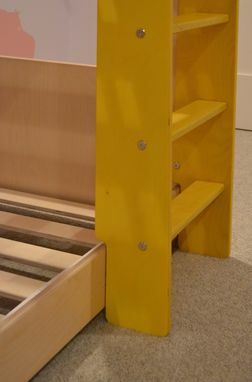 We are proud to make furniture that is safe for you, your children and the world.